First a couple tips, in general, if you take a payday loan and pay it off on time, most payday direct lenders behave the same. If you run into unexpected difficulties and are unable to pay the loan on time, this is when a state licensed payday direct lender could make a difference, as they are more tightly regulated than off shore lenders. Direct payday lenders are regulated by states, so if you want a licensed payday direct lenders, you need to find one that offers loans in your state. Below we list which states our top picks operate in, but if your state is not listed, use the Loan Finder to the left or our application to find a payday loan in your state. Visit Payday Loan Laws to learn more about licensed and unlicensed lenders. And now for our top picks based on different needs. Going with a state licensed lender means your state regulator monitors and evaluates this lender for compliance. There a national payday lending companies that are licensed in every state in which they operation. We likeCheck City, ACE Cash Express, or CashNetUSA. Each of these payday direct lenders is licensed in each state and must comply with each state’s laws. The fees for payday loans vary from state to state and can be lower or even better than the offshore entities who generally underprice these state licensed lender, so it’s a good idea to check the pricing and availability of these guys before going with an offshore lender. We use the pricing for Idaho residences for comparisons below. Check City charges $67.50 for a $300 payday loan in Idaho. As we mentioned above these fees vary by state and can sometimes be lower than offshore payday direct lenders so check the pricing for your state. For example, in Washington, Check City customers are charged $45 for a $300 loan, which is cheaper than the offshore lenders. The maximum loan amount for Idaho is $1,000 and you may renew the loan three times. Check City has an A+ score from the Better Business Bureau. Check City also has a referral program where you receive $30 for every friend you refer who takes out a loan and your friend will get 20% off their first loan. Check City offers payday loans in Alabama, California, Delaware, Hawaii, Idaho, Illinois, Kansas, Missouri, Nevada, New Mexico, North Dakorta, South Dakota, Utah, Washington, Wisconsin and Wyoming. Check City opened its first store in 1986. Click here to apply to Check City. ACE Cash Express charges $75.00 for a $300 payday loan in Idaho. Again, fees vary by state, so check pricing in your state. For example, ACE Cash Express charges $51.00 for a $300 payday loan in Nevada. The maximum loan amount for Idaho is $1,000 and loans can be renewed up to three times. ACE Cash Express has an A+ rating from the Better Business Bureau. ACE Cash Express offers payday loans in Alabama, California, Delaware, Hawaii, Idaho, Kansas, Louisiana, Maine, Minnesota, Mississippi, Missouri, Nevada, Ohio, South Dakota, Tennessee and Texas. ACE Cash Express is one of the largest payday direct lenders in the country and has been in business since 1968. It has over 500 employees and has served over 38 million customers. It was a publicly traded company until 2006 when its current management took it private. Click here to apply to ACE Cash Express. CashNetUSA charges $75.00 for a $300 payday loan in Idaho. Again, fees vary by state so check pricing in your state. CashNetUSA can also have lower fees than offshore entities depending on the state. The maximum loan amount is $1,000 and can be renewed three times for the state of Idaho. CashNetUSA also has a loan referral program. You earn $20 for every friend that opens a loan and your friend receives 20% off of loan fees. CashNetUSA has an A rating from the Better Business Bureau. CashNetUSA offer payday loans in Alabama, Alaska, California, Delaware, Florida, Hawaii, Idaho, Illinois, Louisiana, Maine, Michigan, Minnesota, Mississippi, Missouri, Nevada, North Dakota, Ohio, Oklahoma, Oregon, Rhode Island, South Dakota, Tennessee, Texas, Utah, Washington, and Wyoming. It currently has over 1 million customers. It started in 2004 and in 2006 was acquired by Cash America International, a publicly traded company with over 5,000 employees. Click here to apply to CashNetUSA. Many of our users apply to off-shore payday lenders. These lenders import their country’s law into your state so are not regulated by your state and can be very risky but their pricing can sometimes be cheaper. If you choose to use one of these lenders make sure you understand the terms and stay on top of your loan. If you do not want to renew make sure you can control the automatic renewal process. The most popular of these off-shore lender among our users is Payday Max or Discount Advances, both lending from Anguilla, BWI. They generally have the lowest fees of the direct payday lenders we reviewed and appear more established than other off shore payday direct lenders. These could be the best payday loans if you pay on time. Payday Max’s payday loans cost $55.86 for a $300 loan and have 25% off for first-time borrowers for a fee of $41.88 for a $300 loan. They allow you to roll over the loan over three pay periods paying only fees and interest, but after three renewals you must pay $50 in principal for payday loans under $600.01 and $100 in principal for payday loans over $600.00 plus fees and interest until the loan is paid in full. If you are only paid once a month, you are required to pay principal on the second extension of $100 for loans under $600.01 and $200 for loans over $600.00. The payday loan amounts vary from $250 up to $2500. They offer loans in all states. Click here too apply to Payday Max. Discount Advance charges $52.50 for a $300 loan with a 25% discount for first-time borrows, which is $39.38 for a $300 loan. Their renewal features are the same as Payday Max and they offer payday loans in all states. In fact, we think these direct payday lenders are operated by the same entity as they are both based in Anguilla and their websites are very similar. Given this, we suggest going with Discount Advances, as they are slightly cheaper. Click her to apply to Discount Advance. The above options require an application for each lender to whom you apply. So if you are rejected by one lender you must re-fill out an new application to apply to another lender. Applying through a payday loan network lets you use one application that gets sent to multiple lenders until one accepts your or there are no more lenders. The Payday Hound has a payday loan network where you can apply for a payday loan. Your application will be sent to direct lenders through our own network and general payday loan networks. Our general lender networks include T3 Leads> and RoundSky. Our direct payday lenders matching service is 100% free to our users and you are under no obligation to take the loan even if you are approved. If you are approved you will be sent to the lender’s website. We do not have control over these lender’s websites or terms so make sure you read the loan terms carefully before accepting a loan. This service is private, safe and discreet. The sevice is completely online, faxless, and approvals are instant. To use this service, you fill out a single and simple form and we take care of the rest, including determining which payday direct lenders serve your state. Once you click apply, we send your application to our network of direct payday lenders and you can have up to $1000 cash within 24 hours. Click here to apply to multiple lenders at once. 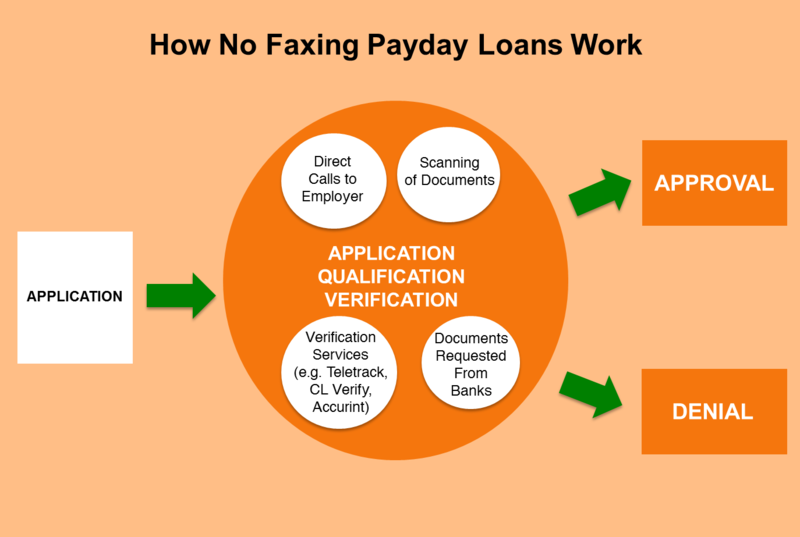 We hope our research has made it easier to find a payday direct lender. Remember to review your loan documents before you accept the payday loan to understand when your loan is due, how much you owe, and when funds will be withdrawn from your checking account. Payday loans are designed for emergency short-term loans. Visit our Quick Fast Loans article to see a comparison of other options. The Secured Card is back in 2012. If you have bad credit, you know that bad-credit credit cards can be pretty nasty. The unsecured, sub-prime cards had a lot of fine print and miscellaneous fees that meant that by the time you get your card, most of your credit limit was used to pay initial card fees. The Card Act tried to change some of this by imposing limits on fees, but some bad-credit card issuers have developed approaches to get around these new regulations, i.e. defining fees that are charged before you have an account. But overall, the Card Act shut down most of the unsecured, bad-credit, credit card offerings and as a result, the secured card has returned. To learn more about secured cards read What is a Secured Credit Card. If you have bad or poor credit, a secured card is one of the best credit card options available. 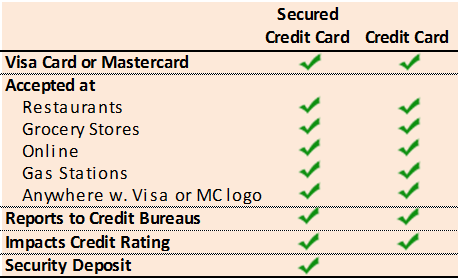 Unlike pre-paid cards, they can improve your credit score and unlike unsecured cards, they are generally pretty straight forward without numerous fees (although some issuers have removed the grace period, meaning unlike traditional a credit card, you are charged interest even if you pay your balance off in full every month; we’ve highlighted these issuers below and in our rankings). A secured card does require a deposit unlike unsecured credit cards but, if it’s possible, saving up your deposit can be worth it, as unsecured cards often charge fees almost equivalent to your refundable deposit. Once you have a deposit, finding the best secured card largely depends on whether you will carry a balance and for how long. In general, the best approach is to avoid running balances by paying off your card each month. If you can do this, the best bad-credit card is the one with the lowest fees. If paying your card off in full every month is not possible, then the best secured card varies. We’ve summarized the best secured cards for typical users below. Applied Bank® Secured Visa® Gold Credit Card is a good low-purchase APR or interest rate bad-credit card if you do not pay off your balances in full every month (if you anticipate carrying a balance of over $701 over the year, please see the Best High Revolving Balance Secured Card section below instead). The interest rate is a low 9.9%, but the card has no grace period. This means it charges interests immediately when you make a purchase. If you carry over a balance, then a grace period is not that relevant to you and a low interest rate benefits you, but if you are someone who pays off your balances, then this bad-credit credit card is not a good option for you, as you are charged interest on your purchase even if you pay your full balance off immediately. What about those of you who carry over a balance some of the time but not all the time? A top secured card for those of you in this scenario is the The First Progress Platinum Horizon MasterCard® Secured Credit Card. The First Progress secured card charges a relatively low interest rate of 14.99% and a $39 annual fee. It also includes a grace period of 25 days for you to have some time to pay off your balance without incurring any interest rate. So, if you carry a balance over only for one month, your interest rate will be low and if you want to pay off you entire balance, you have 25 days to do so. For those that revolve a balance of over $701 a year, the Platinum Zero® Secured Visa® Credit Card from Applied Bank® is a great option for you. The card has 0% Purchase APR, hence its card name, and includes a $9.95 monthly fee, which is $119 a year. This monthly fee clearly adds up and the card does require a higher deposit of $500, which is around $200-$300 more than what is required for other cards, but if you carry balances of over $700 a year, the interest savings on this card compared to other cards make this a better bad-credit card choice. If you do not keep an average balance of over $701 a year, this card is not recommended because the costs for the monthly fee will be more than what it would cost you to use another card. In this case, see the Best Interest Rate/Best Revolving Balance Card or the Best Low Fee/No Revolving Balance Card sections. If you know you are not going to carry a balance over or only occasionally carry a low balance, the Wells Fargo® Secured Card is a great option for you because it has one of the lowest annual fees at just $25. This secured card also has one of the highest maximum secured credit card limits at $10,000. If you want to make big purchases and can pay off your bills each month, this is one of the best securd cards to help you build your credit. It does require a minimum deposit of $300, which is slightly higher than the majority of other cards, but not much higher at just $50-$100. In addition, this secured card lets you customize your card with a personalized design, which we think is a pretty neat feature. For those that are severing or have served in the military, the USAA Secured Card® is a great option. You must first be a USAA member. Once you are a USAA member, its secured card is one of the top secured card options for its low fees and interest rates, high maximum and low minimum deposit, and other great features. Both the Purchase and Cash APR are exceptionally low at 9.9%. Out of the 11 cards we reviewed, the average Purchase APR is around 17% and the average Cash APR is around 19%. The annual fee is also one of the lowest at $35 while the average is around $40. Both the maximum and minimum deposit is at one of the best amounts with $5,000 as the maximum and $250 at the minimum. Some other great features of the USAA Secured Card® include the ability to earn an interest of 0.95% on your security deposit, the option to choose between a MasterCard and an American Express card, allowing you to take advantage of the benefits of either network, and access to CreditCheck Monitoring, an online credit review and management service, for free. If you are always going to pay off your balance within the 25-day grace period, then the Purchase APR, or interest rate, is not going to be too relevant for you. In this case, it’s better to choose a card that has a lower annual fee; a good option is the Wells Fargo® Secured Card, as it has a lower annual fee of $25 and a higher maximum credit limit of $10,000 should you want to make larger purchases that you can pay off before the due date. We do not recommend paying your bills late, as it may hurt your credit score and the fees are expensive. Nonetheless, if you are someone that occasionally forgets to pay your bills on time, the Capital One® Secured Master Card® maybe a better option for you. Like all other providers, Capital One will charge you a late fee, but the maximum late fee is lower at $19 compared to the $35 fee that the majority of providers charge. In addition, the annual fee of $29 is only slightly higher than the Wells Fargo card, so if you forget your payment once this card may save you money. For the majority of you, you want to use a secured card to help build your credit worthiness. Two providers, US Bank and Capital One, understand this and so have included with their secured cards features to help you monitor your credit score. The US Bank® Secured Visa Card offers a free credit score from Experian, one of the three credit reporting bureaus in the U.S. The Capital One® Secured Master Card® includes free enrollment in their credit score tracking service, CreditInform®, allowing you to monitor changes in your credit score. Along with this feature, Capital One offers the opportunity for users to lower their deposit while keeping a credit limit above the deposit amount if the users show a history of credit worthiness over time when using the card. To find out more about each card discussed above as well as other cards we have reviewed and to approximate and compare the exact costs for you for multiple secured credit cards, visit our secured credit card page and try our secured card cost calculator. If you have other questions, please leave a comment and we will address them as soon as possible.